This week’s Sunday pattern is a day early since there’s a free shipping worldwide offer and discounts today. 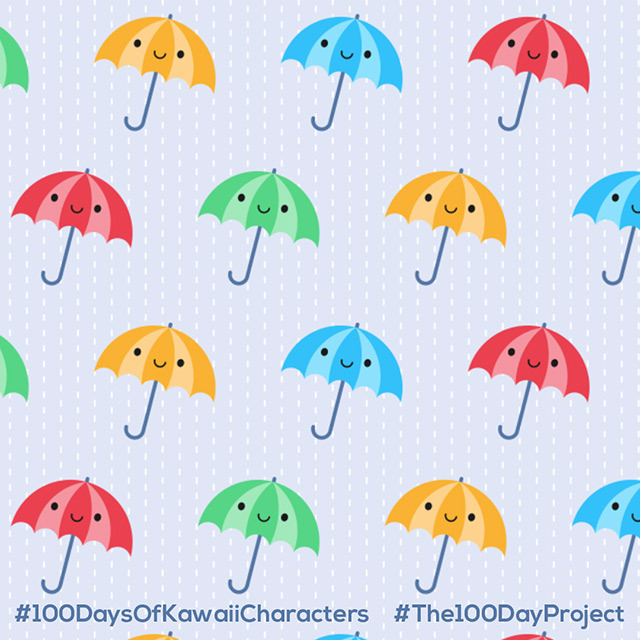 You’ve already seen these umbrellas twice before in this project. I realised it doesn’t have to be 100 brand new completely different finished characters so things in progress count too. It lets you see a bit of my thinking process too (you might have noticed that the purple one got dropped). 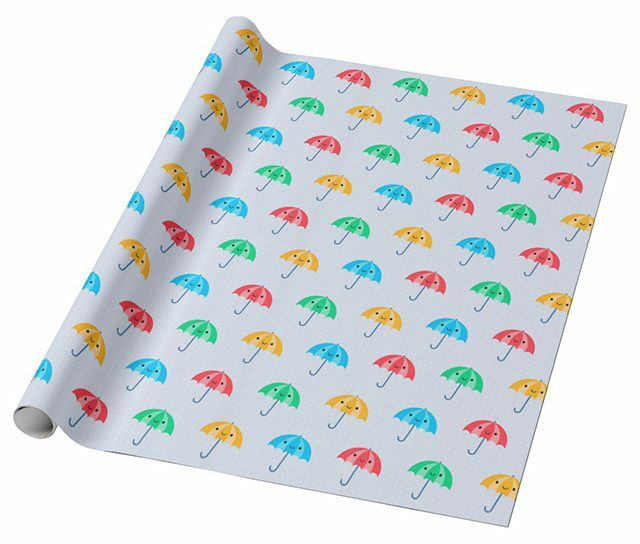 This is another pattern that looks simple but the rain has to repeat in the same space as the umbrellas so it’s a little more tricky. 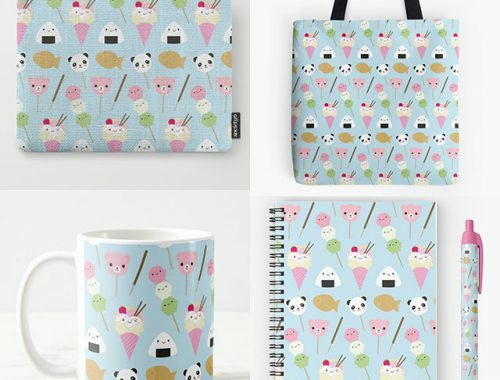 Society6 has free worldwide shipping today, so it’s a really great chance for non-US folks to buy something and reduce those customs fees. How cute is that shower curtain? You can only get the offer with this link. 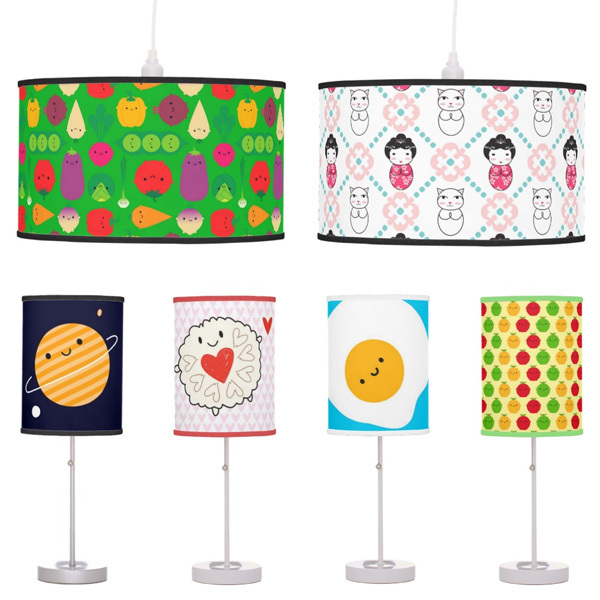 There’s also big discounts at Zazzle for the next 4 days with the code ZBIGMAYSALES. 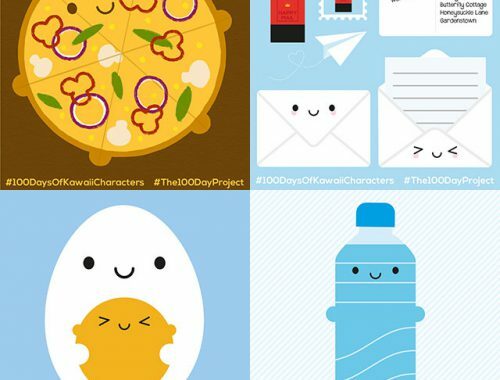 Get 50% off posters, stickers & gift tags, 40% off cards & Post-It notes, 30% off pocket journals, notebooks & wrapping paper and 15% off everything else! 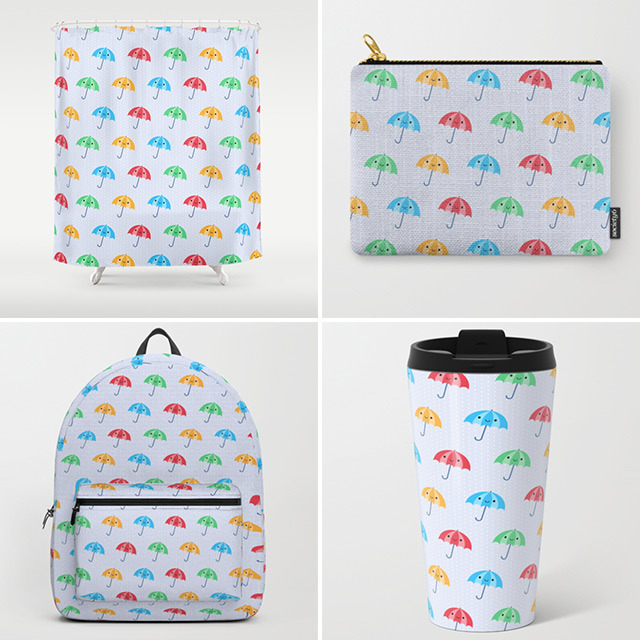 My umbrellas aren’t showing in search yet but should pop up in the Umbrellas collection soon – if you really want something, message me the product and I’ll send you a direct link.